They don’t hand out the ‘worst death scene’ award at the Oscars, possibly because this wasn’t the effect the director or the actor was going for. 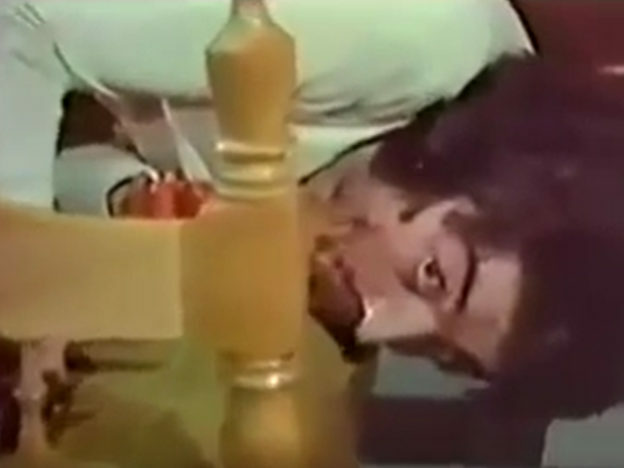 However, there is a certain art form in the really, truly appalling death scene and this should be celebrated. There have been some plucky contenders over the years, from the frisbee death in 1987’s Hard Ticket to Hawaii, to the memorably carnivorous bed in 1971’s Death Bed: The Bed That Eats. 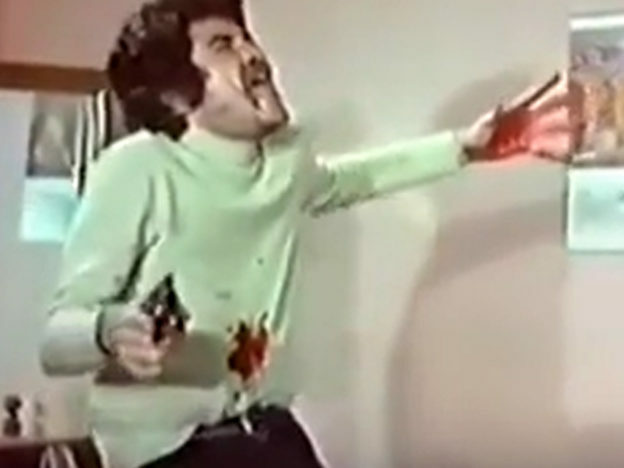 However, as terrible and hilarious as these deaths are, they just can’t hold a candle to the atrocious death scene of actor Bülent Kayabas’s character in the 1974 Turkish action film Karate Girl. Zeynep lives with his [sic] old father. She has lost her ability to speak because of an accident. She needs an operation in order to be able to talk again. One day, five prison fugitives come to their house and kill Zeynep’s father. The fugitives take their money and attack Due to the shock, Zeynep regains her ability to speak. The fugitives are arrested but Zeynep wants to take revenge, therefore she says that the fugitives are not the ones who have attacked them. The police appoints Murat to make her give a statement. Murat teaches her how to use a gun and some karate, but she still doesn’t know he is a cop. They fall in love and decide to get married. On their wedding, the prisoners kill Murat. Nothing can stop Zeynep now from taking revenge. She becomes a policewoman and traces the fugitives one by one.. This all sounds like a perfectly reasonable, run-of-the-mill 70s action film. However what the synopsis fails to mention is this film contains an incredibly long, ridiculous death scene where a criminal makes a very strange and distinctive moaning sound while repeatedly being shot by girl who I presume is the Karate Girl herself. 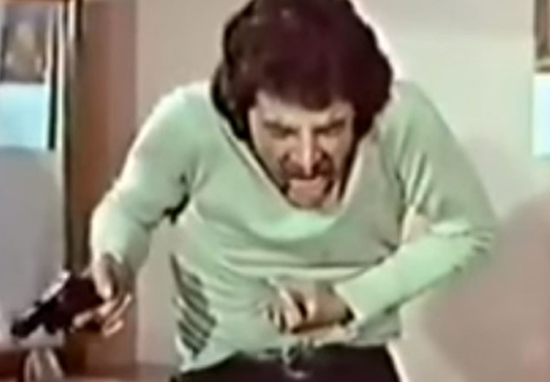 There is just something so unintentionally rib tickling about the Bulent’s contorted facial expressions combined with the wild, pantomime-esque way he throws himself across each surface of the bedroom. I particularly like the final, slightly awkward look he gives the camera as his bullet ridden corpse tumbles slowly onto the bed. And seriously, he literally makes the exact same noise over and over… magnificent stuff. But so many questions remain. Firstly, what Rasputin-esque warlock magic does this guy possess where he can get shot so many times and just continue to spin round the room theatrically for what feels like an eternity? The Turkish actor and writer Bülent Kayabas, who has sadly now passed away, had a long and distinguished career. However his fans will surely always have a special place in their hearts for this gloriously over-the-top portrayal.